USES: Modafinil decreases extreme sleepiness due to narcolepsy and other sleep disorders such as difficult/irregular breathing during sleep (e.g., obstructive sleep apnea/hypopnea syndrome-OSAHS). It is also used to help you stay awake during work hours for people with work schedules that interfere with a normal sleep routine (shift work sleep disorder-SWSD). It is not known how modafinil works to increase wakefulness. It is thought to work by affecting certain chemicals in the brain that control the sleep/wake cycle. Modafinil does not make up for lack of sleep and should not be used to treat tiredness or hold off sleep in people who do not have a sleep disorder. This medication is not recommended for use in children. HOW TO USE: Read the Medication Guide provided by your pharmacist before your start using modafinil and each time you get a refill. If you have any questions, ask your doctor or pharmacist. Take this medication by mouth with or without food, usually once daily in the morning or as directed by your doctor. If you are using modafinil for shift work sleep disorder, take this medication 1 hour before you start your work shift or as directed by your doctor. If you are using this for apnea (OSAHS), continue your other current treatment (e.g., CPAP machine) unless your doctor tells you to stop. Dosage is based on your medical condition and response to therapy. Use this medication exactly as prescribed to get the most benefit from it. Rarely, abnormal drug-seeking behavior (addiction) is possible with this medication. Do not increase your dose, take it more frequently, or use it for a longer time than prescribed. Properly stop the medication when so directed. Inform your doctor if your condition persists or worsens. SIDE EFFECTS: Headache, nausea, nervousness, anxiety, dizziness, and difficulty sleeping may occur. If any of these effects persist or worsen, notify your doctor or pharmacist promptly. Remember that your doctor has prescribed this medication because he or she has judged that the benefit to you is greater than the risk of side effects. Many people using this medication do not have serious side effects. Tell your doctor immediately if any of these rare but serious side effects occur: mental/mood changes (e.g., agitation, confusion, depression, abnormal thoughts, hallucinations). Seek immediate medical attention if any of these rare but very serious side effects occur: chest pain, fast/pounding/irregular heartbeat, signs of infection (e.g., fever, persistent sore throat). A very serious allergic reaction to this drug is rare. However, stop taking this medication and seek immediate medical attention if you notice any of the following symptoms of a serious allergic reaction: rash, itching/swelling (especially of the face/tongue/throat), skin blisters/peeling, severe dizziness, trouble breathing. This is not a complete list of possible side effects. If you notice other effects not listed above, contact your doctor or pharmacist. In the US - Call your doctor for medical advice about side effects. You may report side effects to FDA at 1-800-FDA-1088. In Canada - Call your doctor for medical advice about side effects. You may report side effects to Health Canada at 1-866-234-2345. PRECAUTIONS: Before taking modafinil, tell your doctor or pharmacist if you are allergic to it; or if you have any other allergies. This product may contain inactive ingredients, which can cause allergic reactions or other problems. Talk to your pharmacist for more details. This medication should not be used if you have certain medical conditions. Before using this medicine, consult your doctor or pharmacist if you have: a certain heart problem (left ventricle thickening), a history of previous reaction (e.g., chest pain, irregular heartbeat) to stimulants. Before using this medication, tell your doctor or pharmacist your medical history, especially of: high blood pressure, heart problems (e.g., chest pain, heart attack, heart valve problem), liver problems, kidney problems, mental/mood problems (e.g., mania, psychosis), personal or family history of regular use/abuse of drugs/alcohol. Sleep disorders may decrease your ability to react quickly. Though modafinil helps keep you awake, you still may not be able to perform tasks requiring alertness safely (e.g., driving). This drug may make you dizzy. Do not drive, use machinery, or do any activity that requires alertness until you are sure you can perform such activities safely. Avoid alcoholic beverages. This medication should be used only when clearly needed during pregnancy. Discuss the risks and benefits with your doctor. It is not known whether this drug passes into breast milk. Consult your doctor before breast-feeding. DRUG INTERACTIONS: Drug interactions may change how your medications work or increase your risk for serious side effects. This document does not contain all possible drug interactions. Keep a list of all the products you use (including prescription/nonprescription drugs and herbal products) and share it with your doctor and pharmacist. Do not start, stop, or change the dosage of any medicines without your doctor's approval. Some products that may interact with this drug include: medications for high blood pressure (e.g., beta blockers such as atenolol/metoprolol, clonidine, guanabenz, methyldopa, prazosin), "blood thinners" (e.g., warfarin), street drugs (e.g., methamphetamine, MDMA-"ecstasy"), drugs that affect liver enzymes that remove modafinil from the body (e.g., azole antifungals such as itraconazole/ketoconazole, rifamycins such as rifabutin/rifampin, anti-seizure medications such as carbamazepine/phenobarbital). 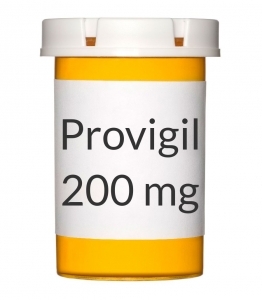 Modafinil can speed up or slow down the removal of other drugs from your body by affecting certain liver enzymes. These affected drugs may include certain antidepressants (e.g., TCAs such as clomipramine/desipramine, SSRIs such as fluoxetine, fluvoxamine), cyclosporine, diazepam, phenytoin, propranolol, theophylline, triazolam. This medication may decrease the effectiveness of hormonal birth control such as pills, patch, or ring. This could cause pregnancy. Discuss with your doctor or pharmacist if you should use additional reliable birth control methods while using this medication and for 1 month after stopping this medication. Also tell your doctor if you have any new spotting or breakthrough bleeding, because these may be signs that your birth control is not working well. Check the labels on all your medicines (e.g., cough-and-cold products, diet aids) because they may contain ingredients (e.g., pseudoephedrine, ephedra/ma huang) that could increase your heart rate or blood pressure. Ask your pharmacist about the safe use of those products. Avoid drinking large amounts of beverages containing caffeine (e.g., coffee, tea, cola). Caffeine can increase the side effects of this medication. OVERDOSE: If overdose is suspected, contact your local poison control center or emergency room immediately. US residents can call the US national poison hotline at 1-800-222-1222. Canadian residents should call their local poison control center directly. Symptoms of overdose include fast/irregular heartbeat, restlessness, hallucinations. NOTES: Do not share this medication with others. It is against the law. Have your blood pressure checked regularly while taking this medication. Lifestyle changes (e.g., sleeping in a dark/quiet room, avoiding caffeine close to bedtime) may help improve your sleep if you have shift work sleep disorder. Consult your doctor or pharmacist for more details. MISSED DOSE: If you miss a dose, take it as soon as you remember. If it is near the time of the next dose, skip the missed dose and resume your usual dosing schedule. Do not double the dose to catch up. Missed doses should not be taken close to bedtime since it can interfere with your sleep.